From 1951 to 1992, 828 underground nuclear tests were conducted at the NNSS. Most of these tests were conducted hundreds to thousands of feet below the ground surface. As a result of over 60 years of extensive, ongoing analysis by multiple federal, regional, and local experts, contaminated groundwater exceeding Safe Drinking Water Act standards is not expected to reach publicly-accessible areas. 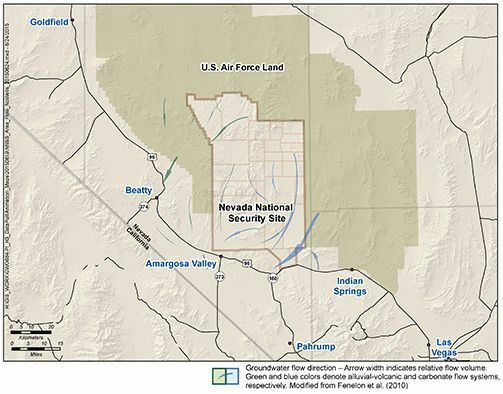 Additionally, the research shows NNSS groundwater does not flow toward communities such as Goldfield, Pahrump, and Las Vegas due to natural underground conditions. 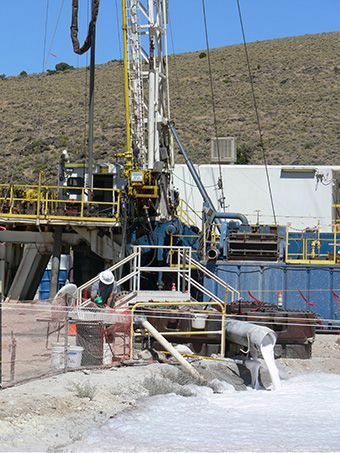 For other nearby communities, such as Beatty and Amargosa Valley, the continued safety of groundwater is a priority for scientists now and into the future. Due to the depth of the contamination and the extremely complex geology there is no proven, feasible method for removing radioactive contamination from the groundwater below the NNSS. 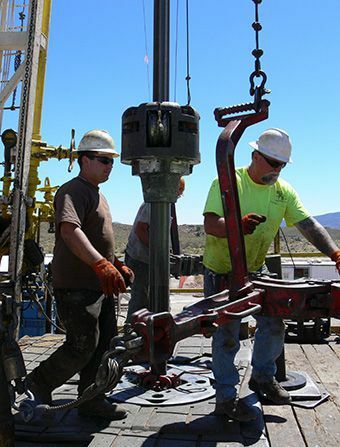 Therefore, the DOE has a formal agreement with the State of Nevada outlining how the Department will protect nearby communities through its groundwater characterization program. 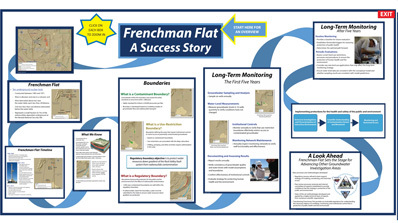 This agreed upon strategy consists of understanding the direction and speed of groundwater movement, determining the location and extent of contaminant migration, and establishing and implementing a long-term monitoring network. Communicating groundwater information to communities near the NNSS is done on a routine basis during open houses. Open an interactive map that shows deep sub-surface contamination sites identified as a result of historic underground nuclear testing.